It’s taken three years to process $1 trillion in foreclosed homes. At that rate, it will take more than five years for the amount of each individual’s mortgage debt, relative to their income, to get back to levels that were the norm in this country before the housing bubble, according to a report from TrimTabs Investment Research. One problem with this math could be that Schnapp assumes there will be very little income growth because of high unemployment so the only way to get back to normal is to lower the debt side of the equation through foreclosures. However, she’s also assuming 60 to 65 percent is the “sustainable” amount of debt to income an average homeowner can handle and many believe that will still have to come down even further. Either way, you’re left with at least a five-year slog, according to many economists and investors. “It may take longer than 4-6 years in my opinion to work through the delinquencies,” said Simon Baker, CEO of Baker Avenue Asset Management. He cited the stall in the foreclosure process taking place in the court system as banks are forced to prove they actually own mortgages that changed so many hands during Wall Street’s securitization process. Earlier this month Massachusetts highest court called seizures of two homes by U.S. Bancorp and Wells Fargo invalid because the banks didn’t have the proper documentation at the time of the of the foreclosure. Halftime: Are Commodities Trying To Tell You Something? Several banks halted foreclosures temporarily last year over the so-called robo-signing scandal where delinquency records were not properly analyzed but instead processed in mass quantities by computer. 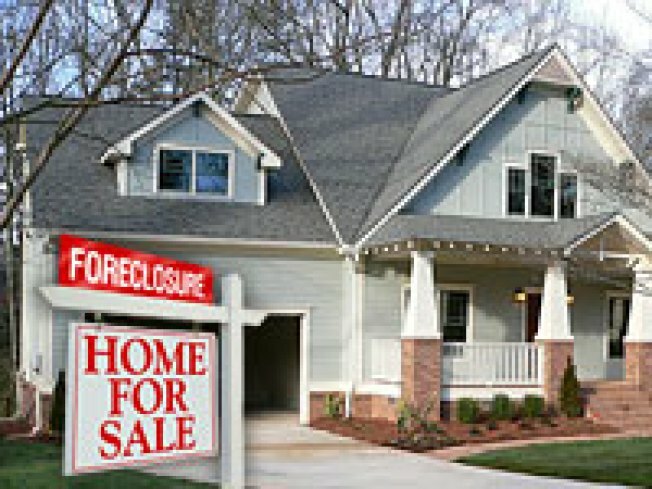 Bank of America said this week that it had not only halted foreclosures back in October, but also notices of default (the first part of the foreclosure process) as well. This means that the foreclosure process is even more backed up than previously feared. The latest Standard & Poor’s/Case-Shiller data showed that housing prices fell again across most of the major cities, with eight markets such as Las Vegas and Miami setting new lows since the housing crisis. Data released today showed a much higher than expected jump in weekly jobless claims, dampening hopes of an increase in wages anytime soon. Trader disclosure: On Jan. 27, 2011, the following stocks and commodities mentioned or intended to be mentioned on CNBC’s "Fast Money" were owned by the "Fast Money" traders; Joe Terranova is short Gold. Joe Terranova Owns (VRTS), (C), (UPL), (GM), (PEP), (TLT), (MS), (POT), (AAPL), (ARUN), (LTD), (PVH), (CVI), (CVE), (CPX), (CNQ) and (FCX). Karen Finerman owns (AAPL), (BAC), (MSFT), (GOOG), (HPQ), (C) and (BP). Karen Finerman owns (JPM) and (JPM) leaps. Jon Najarian owns (FRO), is short (FRO) calls. Jon Najarian owns (F), is short (F) calls. Jon Najarian owns (GM), is short (GM) calls. Jon Najarian owns (GS), is short (GS) calls. Jon Najarian owns (MOS), is short (MOS) calls. Jon Najarian owns (WMT), is short (WMT) calls. Jon Najarian owns (VZ), is short (VZ) calls. Jon Najarian owns (SNDK), is short (SNDK) calls. Stephen Weiss owns (PZN), (SMCI), (MWA), (AGU), (FAS), (JPM), (DVN), (COP), (DZZ), (MSFT), (QCOM), (HPQ), (FWLT) and (V). Stephen Weiss is Short (GDX). Stephen Weiss is short (GLD).